Someone who attended the Health+Care 2013 Show in London this week alerted us to Yecco, saying “One bright spot was Yecco, a new entrant to the market, with a fresh, consumer focussed aim of meeting the needs of both carers and cared for, people of all ages, grandparents and grandchildren. All the staff seemed to have personal experience of helping dementia patients, as well as offering new technology-based communications between family, cared for and carers.” The cheery video below explains it. Yecco website – with some worthwhile offers, too. Is Saga automated lifelogging the future of memory – or just creepy? The Saga (nothing to do with the UK company of the same name) smartphone app takes journal-keeping to an entirely new level, that is without input by you. It takes data behind the scenes from your smartphone and tries to make some sense of it. For example, you visit lots of burger bars…you must like burgers (unless you are a hygiene inspector, of course). So is it, as the developer claims in the 9 minute video below, the next evolution of memory, for which we will all become grateful or is it just creepy that people would want all that activity logged automatically? Saga app website FAQ page (as the home page is very bland). Hat tip to Toni Bunting. “Inspiring, intriguing and thought provoking.” Hat tip to Roy Lilley. A 5 minute clip of a Dutch TV programme for people over 50 where someone is talking about care robots and Kompaï in particular. (Also clips from the film Robot and Frank) Even if you do not speak Dutch you will probably get the gist. The interviewee, Corien Van Berlo of Smart Homes, appears to be dispelling some misconceptions about robots in the home. Video thanks to Vincent Dupourque of Robosoft. Georgia-based SoloHealth [TA 2 Oct] will be rolling out self-service health screening kiosks in 2,500 Wal-Mart and Sam’s Club (Wal-Mart’s warehouse club) in the US starting next month. SoloHealth Stations are free-standing and free to users, screening for vision, blood pressure, weight, and body mass index (BMI) in seven minutes or less with educational material. Their business model is advertiser-backed, with targeted ads served based on individual tests and inquiries (e.g. adverts for fish oil supplements for healthy lifestyles; yogurt for blood pressure)–and capture opt-in emails for sending test results which will also carry targeted advertising. Wal-Mart’s intent here, of course, is to encourage ‘healthy customers’ who will be in excellent shape to buy in-store everything from glasses and prescriptions to foods and OTC meds. SoloHealth has some impressive financial backing: $43 million from Coinstar, Dell and insurer WellPoint. Also mentioned in the HealthcareITNews/Kaiser Health News article is HealthSpotStation [TA 13 Nov at CES NY], which differs in being a closed/assisted kiosk providing a telemedicine/telehealth ‘minute clinic’ carrying a $59-79 visit fee, and UnitedHealth/American Well’s NowClinic. Also PSFK article. Hat tip to TANN Ireland’s Toni Bunting. A number of Robosoft’s Kompaï robots were put out and about with academic institutions [TA May 2010] to encourage a diversity of developments that may eventually lead to it becoming a companion robot for old or disabled people. The following video shows the result of one such collaboration, with Kompaï being taught to respond to gestures. It’s all very early stage but could have potential for use by people who have lost language function owing to strokes. Yes, it’s a telemed publicity stunt – but what a good one! A photo of a retina is taken at the top of Mount Kilimanjaro and transmitted for analysis to an ophthalmologist at Johns Hopkins Medical School, Baltimore. [Video now unavailable. So much for modern communications!] Heads-up thanks to the Shropshire Cares Info Central website via David Sandbach. Just now, as telehealth proponents circle the waggons to stand firm against the onslaughts of telehealth opponents, what is needed is a GP to sit down and have a relaxed consulting room chat explaining from his experience of telehealth vital signs monitoring just where the benefits are for GPs, what the learning curve was, and why they should consider using it. The 16 minute video could be tightened up a little but any GP who takes the time to sit through it is surely likely to be a lot less resistant by the end. The mystery is why a Tunstall-produced and branded video put on YouTube by Gloucestershire PCT has had so few views – 133 to date since it was posted 15 months ago in October 2011. Maybe the time was not right before the Whole System Demonstrator (WSD) programme results and the subsequent kerfuffle but it seems much more relevant today. Perhaps, with the blessing of Tunstall’s CEO Gil Baldwin, who is the 3ML Working Group’s vice-chair, 3ML could get one of its other contributing companies to edit out the Tunstall references, re-brand the video as 3ML and put it on their home page. 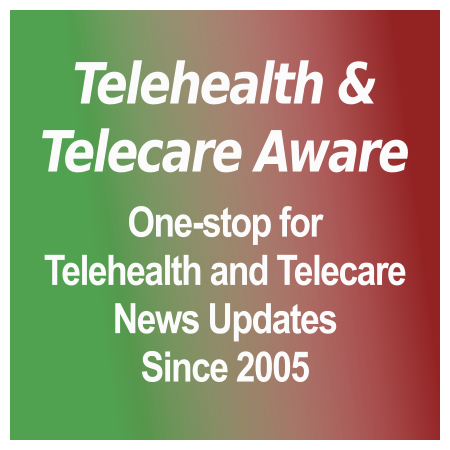 Is ‘independence’ the key reason people value telecare and telehealth? Appello asked delegates at the International Telecare and Telehealth Conference – and Twitter users following the event – to fill in the blank in the following question: “I believe what service users value most is…”. They created the video below to demonstrate their findings. It identifies that key words used by delegates were; ‘independence’, ‘reassurance’, ‘peace of mind’ and ‘convenience’. Over 160 delegates attended Scotland’s P4 Digital Conference last month (20 and 21 November 2012). Topics concerning digital healthcare branding, consumer psychology, sports physiology and design were covered. Thanks to the Highlands and Islands Enterprise and the conference sponsors, LifeScan Scotland Ltd, Health Science Scotland, Healthcare Group CSC, NHS 24, Scottish Lifesciences Association and Video3 Technologies for making 5 recordings of the sessions available to the public here: P4 Digital Conference 2012. Spend 15 minutes with a cup of coffee and the video below to hear Dr Leslie Saxon sum up the present situation for remote monitoring of patients with heart implants and the case for, and current limitations on, mHealth generally. “It’s a civil rights issue.” Wow! It’s better than many a two-day conference. Don’t miss the anecdotes that start at 8mins 45secs. See this TEDMED page for biographical information on Dr Saxon. RELATED NEWS ITEM May 16, 2012: Philips has announced the latest addition to the company’s remote diagnostic arrhythmia and remote patient monitoring portfolio, CardioCare Wireless Arrhythmia Services, to streamline the complex process of remotely monitoring cardiac patients and capture critical information sooner. Only in the US at present. HealthTech item. 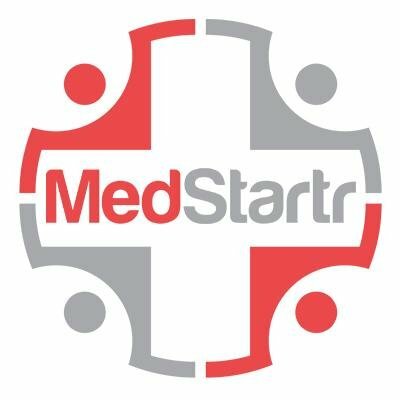 A reminder that telehealth remote monitoring has a longer history than many people now jumping on the bandwaggon suppose: Frasier’s father Martin is having his blood pressure monitored at random over 48 hours and the data is being transferred to, and monitored at, his doctor’s office. From the 201st episode, Sharing Kirby, first broadcast over 10 years ago: November 20th, 2001.